Bangiya Gramin Vikash Bank (BGVB) formed by the amalgamation of 5 erstwhile RRBs – Mallabhum Gramin Bank, Gaur Gramin Bank, Sagar Gramin Bank, Nadia Gramin Bank and Murshidabad Gramin Bank. BGVB is sponsored by United Bank of India. Current Deposit, Saving Bank Deposit, Mini Deposit, Recurring Deposit, Tax Saving Term Deposit and Sadyanusar Jama Yojana are main services of Bangiya Gramin Vikash Bank under deposit schemes. Head office of Bangiya Gramin Vikash Bank is located at NH 34, Berhampore in Murshidabad (West Bengal). 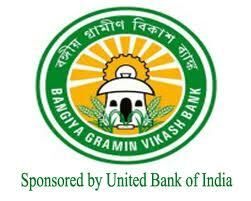 http://www.bgvb.co.in/ is the official website of Bangiya Gramin Vikash Bank. You can get latest information regarding recruitment, loans, interest rates, savaging accounts, results, new schemes and other services visiting official website of BGVB. Bangiya Gramin Vikash Bank invited applications for 141 Officer in Middle Management Grade Scale – I, Officer in Middle Management Grade Scale- II, Officer in Middle Management Grade Scale -III cadre and Office Assistant (Multi Purpose) posts. The candidates who have qualified Common Written Examination for RRB held by IBPS in month of September 2012 are eligible to apply for the examination. The eligible candidates can apply online before 29 January 2013. The candidate should have graduation degree in any discipline with proficiency in local language for Office Asst, Officer Scale I, III & Officer Scale II General Banking, Degree in Electronics or Communication or Computer Science or Information Technology for Information Technology Officer Posts, and Degree in Law or its equivalent for Law Officer Posts. The candidates applying for the post should be 40 years for Officer Scale – III posts, between 21 to 32 years of age for Officer Scale – II posts, above 18 and 28 years for Officer Scale – I and between 18 to 28 years of age for Office Assistant posts. The selection of the candidates is done on the basis of performance in Common Written Examination for RRB and personal interview. The candidates can apply online through online format before 29 January 2013. For details, see complete advertisement.